I know, I know – that’s exactly what my reaction was looking at the chart for SGD USD. I would not have bothered to look at the charts if not for SGD breaking 1.24 mark, specially not after the forecasts earlier in the year by leading financial institutions was for SGD USD to break the 1.20 barrier. 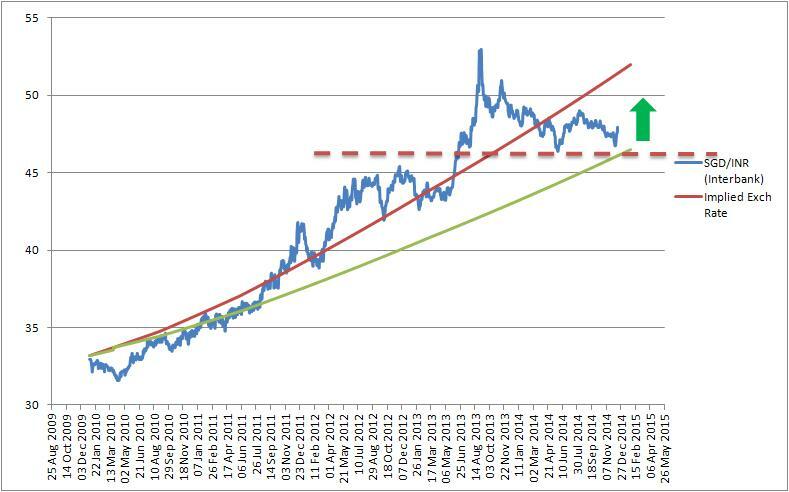 The charts show an interesting trend – the one of SGD bottoming out and heading higher. Overlaying that with macro economic picture confirms the trend. Now if you are wondering what has changed in just 2 months then I would say its just the feel good factor nothing more, other bits were in the making for long. 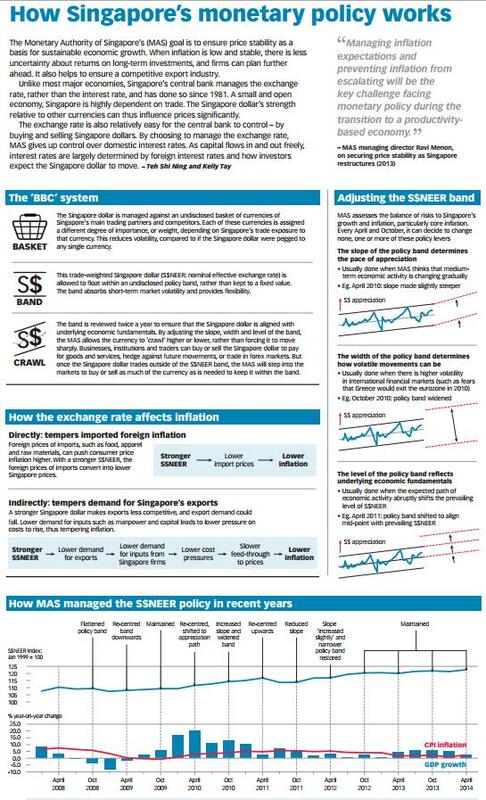 MAS provide guidance on SGD through monetary policy and the NEER bands for SGD but rarely suggests a target. The stance of MAS has not changed. 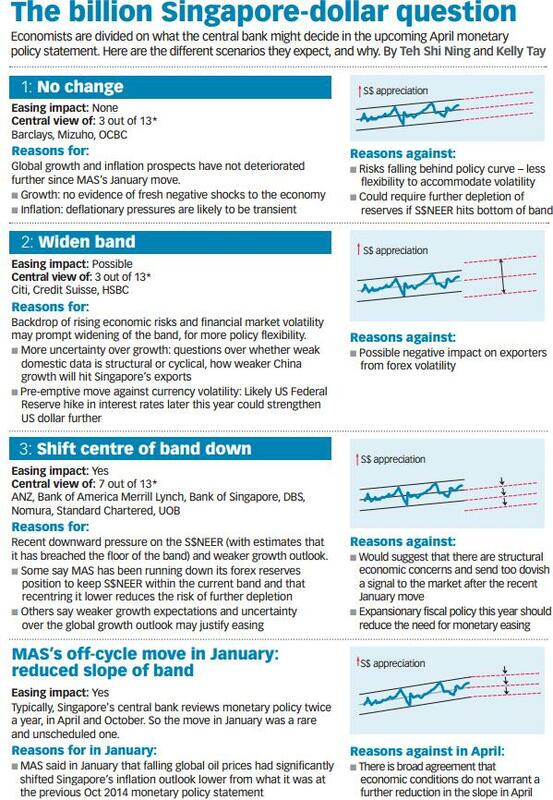 My hypothesis for reasons of SGD weakness primarily starts by looking at the bond markets. Singapore has a robust economy and reserves which make SGD government bonds literally risk free. In the past years money flowed into SGD Bonds seeking safety of capital. Also the property market in Singapore attracted a lot of foreign investors. With the US stock markets on all time high, Nikkei on a bull run and general sense of economy looking better the capital has started moving from safe havens to more risky assets. I am guessing that the money if moving out of SGD bonds to equities here. Also with the latest government measures to cool down the property market some of the hot money chasing the properties in Singapore would be looking for other avenues. Both these factors mean that demand for SGD denominated assets would go down thereby resulting in lesser demand for Singapore dollars. With the inflation well within Government targets and falling fuel prices a weaker SGD augurs well for the economy – specially tourism and services sectors. The 10% additional stamp duty on all house purchases by foreigners in Singapore took everyone by surprise and thwarted the plans of buying a house for many a people. This was the second drastic attempt of the authorities to moderate the Singapore housing market after the sales tax charge of upto 16% on selling a house within 4 years brought about earlier in February 2011. One would question why such an extreme measure was needed which made owning a house 10% expensive for foreigners. A policy to gradually strengthen SGD has helped control the inflation since the start of the year. 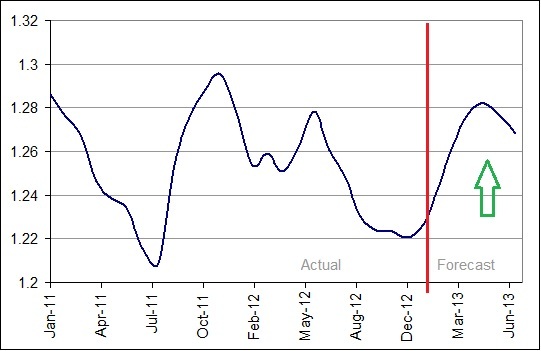 The exchange moved from 1.28 in Feb 2011 to 1.20 by Aug 2011 – a gain of 6%. This tamed the inflation but did not have the desired effect to cool down the property prices. On the flip side a strong SGD has impacted the exports of goods and services by making them more expensive. It would be worth mentioning that the Singapore Monetary authority uses Exchange rate as one of the means to implement its monetary policies. Lets put some numbers around how exchange rate impacts the cost of housing and exports. Say someone wanted to buy a house worth 128,000 SGD in Feb 2011 (I know there is nothing available at this price) and there were others wanting to buy services worth the same amount. The cost in terms of USD would be 100,000 for either case. Come Aug 2011 the same house was now costing 106,000 USD and the property markets were showing signs of slowing down. But the services that earn revenue for the economy and also generate employment had gotten expensive as well. In the backdrop of slowing global economy organisations would look to move to cheaper destination to source the same goods and service. So to stay competitive something had to give way and in this case it was SGD. 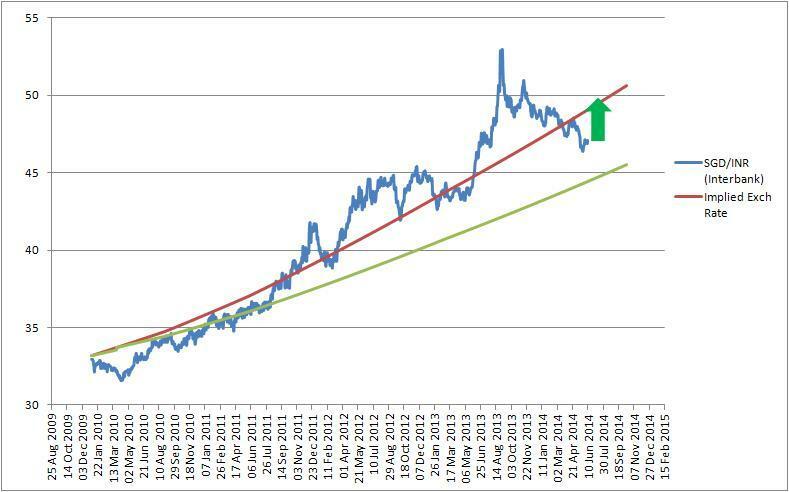 With the currency moving back to 1.28~1.30 range the situation turns back to Feb 2011 with the potential of housing market starting the upward journey again. Housing is a cost of living for the residents of Singapore and rising rentals and property prices has contributed to employees looking for higher salaries to cover costs. Higher salaries again result in net higher cost for the employers. So the next logical step was to introduce a deterrence for the foreign money chasing the Singapore property and here we have a property tax. With this new tax the same house now costs 110,000 SGD for a foreigner but the cost of services and exports stay put at 100,000. If the SGD moved to 1.35 the same house would cost 104,000 USD. This would bring net cost of a house for a foreigner back to the Aug 2011 levels achieving the same impact as SGD trading at 1.20 against the USD but the exports and services would be only 95,000 USD making Singapore very competitive against other Asian countries plus the 10% revenue that the government earns from the tax could go towards benefitting the residents or tax subsidies to the companies.